Apple’s recent “trifold” announcement was exciting: textbooks coming to iBooks; iBooks Author software to create your own books; and a dedicated iTunes U app, which “bundles” courses in a manageable, multimedia package. If you haven’t watched the Apple Keynote, I highly recommend it, but I want to guide you to my favorite part. It comes in around the 56:25 time on the video where Eddy Cue announces that K12 Institutions can now sign up to deliver content in iTunes U. This is phenomenal news, and I believe, will have the potential to transform education more than the textbook announcement. 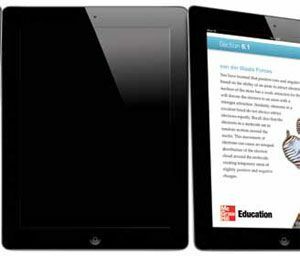 Without a doubt, many teachers will create textbooks for the iBook store and will give them away for free—a task that is surely made easier with iBooks Author, but still requires writing a book. However, creating iTunes U modules will be even easier, as teachers will simply have to collect the materials they use for their courses and publish them out to the rest of the world (for free). Hopefully, K12 teachers will start recording/videotaping their courses/lectures/lessons and publish them through their districts’ iTunes U portal. With this opportunity, the prestige that universities have tapped into by being able to publish their coursework on iTunes U will be promised to K12 institutions. Districts should use iTunes U not only to help support the larger learning community, but also to showcase their teachers’ and students’ work. • What makes material ready for iTunes U? • Should there be a review process? • What parent permission will the district need to publish? • How will courses be managed/ updated? • Who owns the material?